November 19, 2018 November 19, 2018 laurelhillcemetery1836Leave a Comment on Thank You, Sarah! Contributed by Rich Wilhelm, Laurel Hill Cemetery Tour Guide. 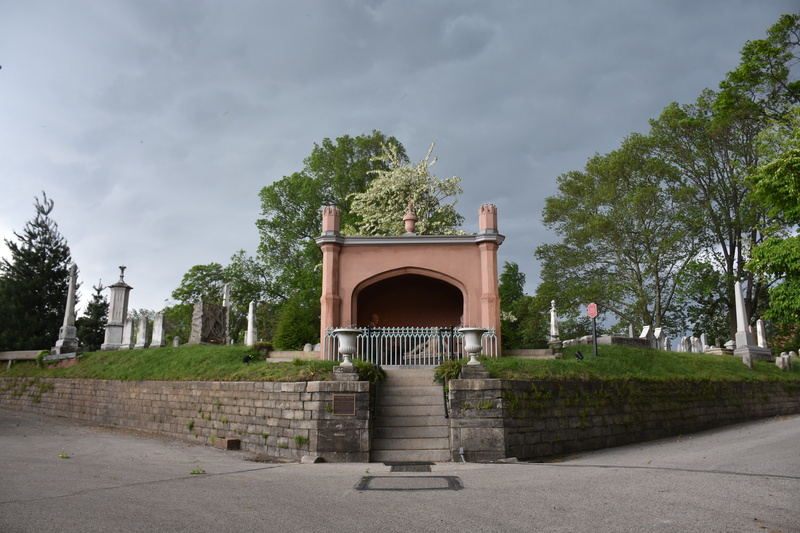 If you were to take a poll of the tour guides at Laurel Hill Cemetery, chances are that Sarah Josepha Hale would emerge as a favorite “permanent resident” at the cemetery. Once you learn a bit about her, you’ll love her as well. Sarah Hale was born in Newport, New Hampshire in 1788. Sarah married David Hale in 1813. They had five children together, but David died in 1822. After publishing a book of poetry sponsored by her late husband’s Freemason lodge, Hale wrote a novel, Northwood: Life North and South, that was published in 1827. One of the earliest novels to describe slavery in the United States, Northwood attracted a considerable amount of attention and launched Hale’s literary career. The success of Northwood ultimately led to Hale becoming the editor of Godey’s Lady’s Book, which was one of the most important journals in 19th century America. Hale kept this position the rest of her life. She used her influence wisely, raising money for a monument to be placed at the battle of Bunker Hill, and publicizing the efforts of women’s group to save George Washington’s home, Mount Vernon, from falling into disrepair (the same group still runs Mount Vernon). Perhaps most significantly, Hale reached back to her Thanksgiving description in Northwood and wrote to five U.S. presidents in a row, requesting that each of them declare Thanksgiving a national holiday. Abraham Lincoln was the president who finally listened, proclaiming the national holiday in 1863. Sarah Josepha Hale is buried in Section X, Lot 61.